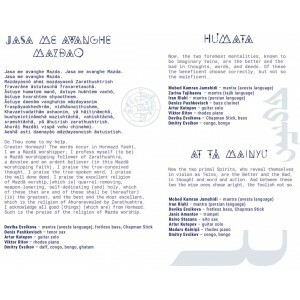 The Baraka from Latvia presents a new unique project of the Mantra of Zarathustra. Mystical prayers in the Avestan language harmoniously intertwine with ethnic, jazz and lounge music, in which modern electronic rhythms follow along with eastern percussion, and the velvety bass clarinet perfectly complements the deep stik-bass reefs. 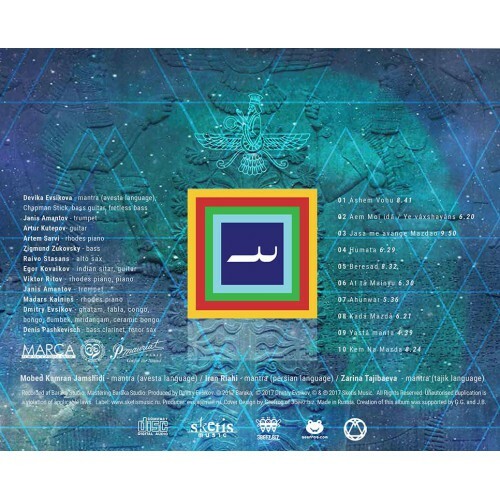 The cultural bridge between East and West, which Baraka building for many years, has turned into a huge laboratory where the synthesis of musical ideas takes place, and where the most unexpected solutions are realized. Mantras of Zoroastrianism are the oldest prayers for the protection of the higher powers of all mankind. Now these formulas can be heard in a completely new and unexpected sound. The work on the album was attended by musicians from Baltic ethno-jazz group Baraka led by Dima and Devika Evsikovs, Zarina Tajibayeva from Tajikistan, Iranian Iran Riahi, as well as directly the bearer of tradition, the priest of the Zoroastrian community of Europe Mowed Kamran Jamshidi. 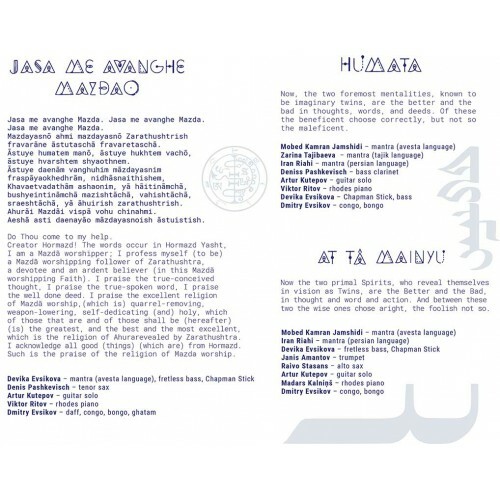 Inside the booklet you can find a message to listeners, explaining the role of the mantra in the life of the Zoroastrian. 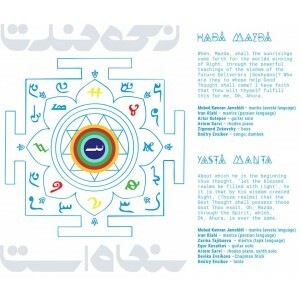 Much of the Zoroastrian / Zarathushtrian scriptures are composed in verse and in the form of a manthra / mantra / mathra. 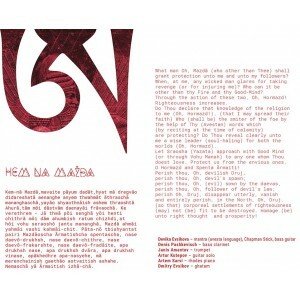 Manthras are insightful thoughts, thought-provokers; thoughts for reflection, contemplation and meditation, personal spiritual growth, introspection and commitment to the principles of the ”Good religion”, i.e. Mazda, Wise God, with a bow and uplifted arms, we pray. First, we ask for support through progressive mentality. Then we pray that we may perform all our actions, based as they are on the wisdom of good mind, precisely according to the laws of righteousness so that we please the soul of the Living World. Wise God, we approach You through good mind. Grant us through righteousness the blessings of both existences, the material and the mental, so that we lead ourselves and our companions to happiness. 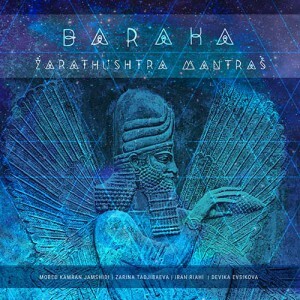 On the site of our store, you can buy album Baraka - Mantras of Zarathushtra, as well as other albums of the label Sketis Music with ethnic music and world music of Russia, as well as free to listen and find links to legally download this and over albums. Righteousness is the best good and it is happiness. Happiness is to him who is righteous for the sake of the best righteousness. for the sake of Righteousness. Grant him sweetness of speech. Do Thou come to my help. O Creator Hormazd! The words occur in Hormazd Yasht, I am a Mazdг-worshipper; I profess myself (to be) a Mazdã-worshipping follower of Zarathushtra, a devotee and an ardent-believer (in this Mazdã-worshipping Faith). which is the religion of Ahura revealed-by-Zarathushtra. I acknowledge all good (things) (which are) from Hormazd. Such is the praise of the religion of Mazda-worship. Now, the two foremost mentalities, known to be imaginary twins, are the better and the bad in thoughts, words, and deeds. Of these the beneficent choose correctly, but not so the maleficent. Oh, let the Creator Ormuzd come, accept and hear! Oh, let it be in the approval of God! Let the help of hallows come. To the satisfaction of Ormazd's spirit with all Thirty gahs. To the satisfaction of the spirit of Wachmann, the moon and Frame. 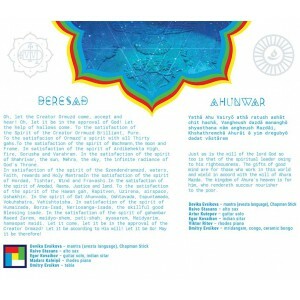 In satisfaction of the spirit of Ardibehekta High, fire, Sorusha and Varahram. In the satisfaction of the spirit of Shahrivar, the sun, Mehra, the sky, the infinite radiance of God's Throne. In satisfaction of the spirit of the Szendendramazd, waters, Faith, rewards and Holy MantrasIn the satisfaction of the spirit of Hordad, Tishtar, Wind and Fravashi. In the satisfaction of the spirit of Amodad, Rasna, Justice and land. 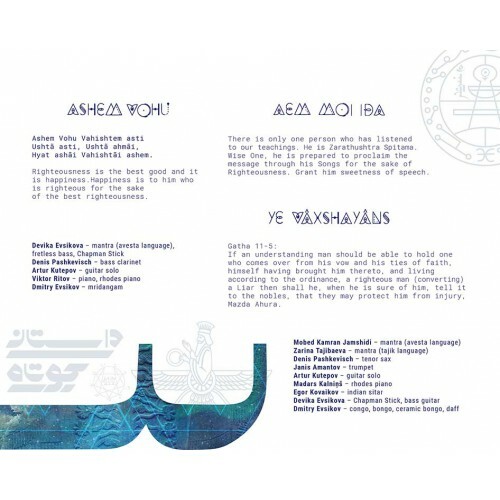 To the satisfaction of the spirit of the Hawan gah, Rapitven, Uzirena, airspace, Ushakhin. In the spirit of Gat Ahunvada, Oshtavada, Espuntamada, Vokuhshatra, Vahishtoisha. In satisfaction of the spirit of Huma-izada, Borza-Isad, Neriosanga-isada, the skillful good Blessing-isade. 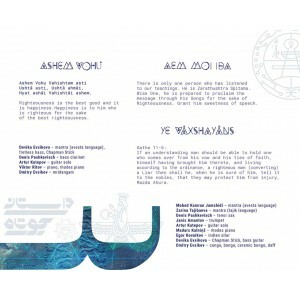 In the satisfaction of the spirit of gahanbar Maeed-Zarem, maidyo-shem, pati-shah, ayasarem,Maidyarim, hamaspat-maidi. Let it come, let it be in the approval of the Creator Ormazd! Let it be according to His will! Let it be So! May it be therefore! the wise ones chose aright, the foolish not so. Just as is the will of the lord God so too is that of the spiritual leader owing to his righteousness . The gifts of good mind are for those who work in this world and wield in accord with the will of Ahura Mazda. The kingdom of Ahura's heaven is for him , who rendereth succour nourisher to the poor. that thou wilt thyself fulfill this for me, O Ahura. which, O Ahura, is ever the same. What man O Mazda (who other than Thee ) shall grant protection unto me and unto my followers? When, at me, any wicked man glares for taking revenge (or for injuring me)? Who can it be other than thy Fire and thy Good-Mind? Through the action of these two, O Hormazd! Righteousness increases. Who (shall be) the smiter of the foe by the help of Thy (Avestan) words which (by reciting at the time of calamity) are protecting? Do Thou reveal clearly unto me a wise leader (soul-haling) for both the worlds (O Hormazd). Let Sraosha (Yazata) approach with Good Mind (or through Vohu Manah) to any one whom Thou doest love. Protect us from the envious ones. O Hormazd and Spenta Гrmaiti! disappear utterly, vanish and entirely perish, in the North, O Druj. (so that) corporeal settlements of righteousness (may) not (be) fit to be destroyed. Homage (be) unto right thought and prosperity!